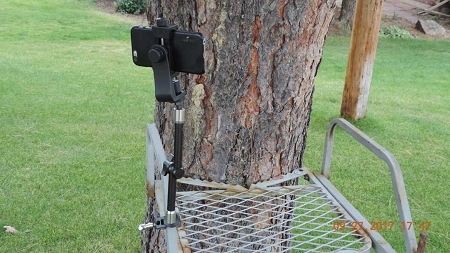 Universal Cell Phone holder hunting tree stand. 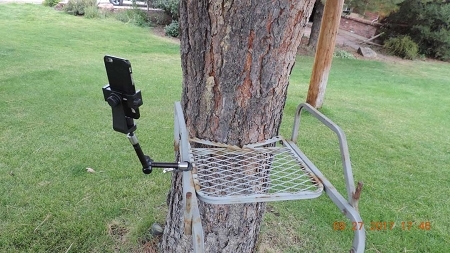 If you're looking for a solid, secure way to attach your Cell Phone or Smart Phone to your Tree Stand, Boat, or just about anywhere, check this out! 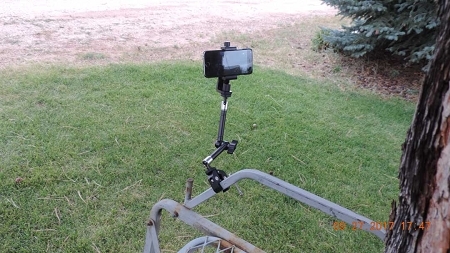 You've tried the cheap mounts and found out that they simply don't stay put? So have we! As die hard hunters we try products available on the market and when the quality or functionality isn't there, we build our own. Try this- if you don't like it for any reason, return it for a full refund- no questions asked. 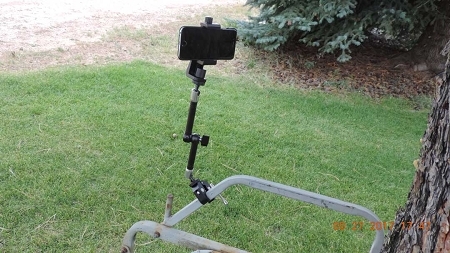 The Hornet U-4064 Smart Phone and Camera Mount comes complete with a SOLID Crab Clamp that can attach to any square, round, or oval tube up to 1 1/4" diameter. 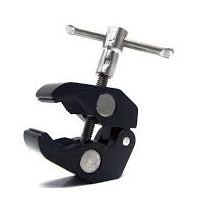 (tool less installation) The Crab Clamp base attaches to the Hornet Quick-Adjust arm. Unlike the friction adjustments used on most camera mounts, this unique arm has a unique mechanical design where a simple twist of the elbow knob loosens the entire arms AND both ball sockets on the ends so you just loosen, adjust to the desired position, and lock it in place with a simple half turn of the knob. The phone holder is adjustable for a phone up to 4" wide so it can accommodate most/all smart phones. The phone holder attaches via standard SAE 1/4" thread and includes a Go Pro and POV Camera Attachment so you can also use it to hold your Go Pro or other action camera. 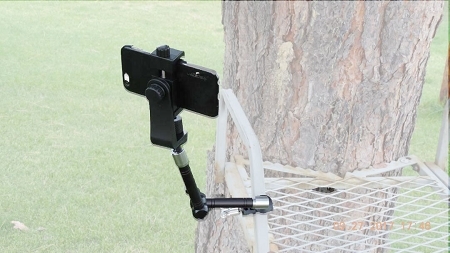 Works great for filming hunts from bow and rifle stands. Much more stable than the other options I have tried. This item is very well made and does everything I expected it to do.